Please keep in mind the volume capacities cited with our wine coolers are only guidelines. 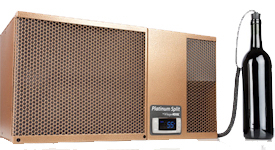 Please e-mail, call or live chat with us so we can help you select the proper cooling unit. 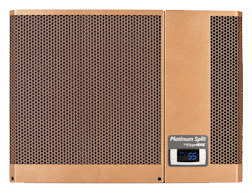 All coolers listed as "split" requires someone who is HVAC certified for installation. A great cooler for our wine locker! 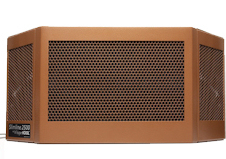 Ideal for up to 350 cu. Ft.
Comes in four models: 1600 - up to 300 cu.Ft., 3000 - up to 650 cu.Ft., 4200 - up to 1000 cu.Ft., 8000 - up to 2000 cu.Ft. Ideal for up to 300 cu. 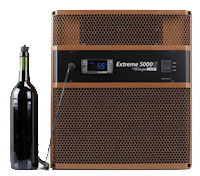 Ft.
Comes in two models: 4000 - up to 1000 cu. Ft., 8000 - up to 2000 cu. 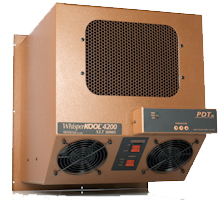 Ft.
Comes in two models: 4000 - up to 1000 cu. Ft., 8000 - up to 1750 cu. 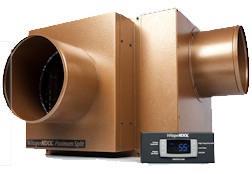 Ft.
Comes in two models: 5000tiR - up to 1000 cu. Ft., 8000tiR - up to 2000 cu. Ft. 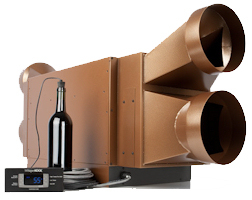 The wine guardian is a self contained ducted system. It must be within 25 feet of the wine cellar round trip of inlet and outlet ducting. It has an optional humidifier option, electric heater options, and duct collars.